These are FREE Apps and EBooks for a very limited time only! Make sure the App price is $0.00 before installing. And install immediately, because some of the Apps are only FREE for a few hours or a very limited time! FREE for a limited time only, My Sketch for the iPhone or iPad. This app is pretty cool, you can turn pictures that you take into real Sketch Art. Never miss updates when you sign up for App Savvy Mama Mail! I love this app!! So cool! 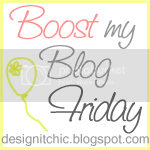 I'm following you from Tuesday's blog hop! Would love if you followed back!! Hello, I'm Cecelia, a stay-at-home mom of two beautiful children, 2 year old boy and 8 month old baby girl. I love all things free or cheap, and I love love LOVE my iPad and iPhone!! Over time I have found some great Apps that I often catch on sale or even for FREE. There is a world of FREE and useful Apps out there and I want to share them with you. I also find FREE E Books for Kindle and other reading Apps. I hope you all enjoy my finds! !